The list goes on and on because American advertising thrives on celebrity endorsements and music soundtracks. Honestly, though: do celebrities represent the average overweight consumer? Has Hollywood and the sports arena shown itself to be the pinnacle of scientific expertise? Haven’t both of these venues (Hollywood and professional sports) had ethics challenges throughout their history? Who then should the public listen to when looking for weight-loss advice or guidance? Why not look to physicians and scientists, since every product and program is criticized unless it has double-blind placebo-controlled studies performed by scientists with no conflict of interest? Probably because most scientists and physicians don’t focus on weight loss and those who do rarely communicate what they know in an understandable manner. Even when a clear comment is made, often, another expert will retort the findings, making the whole issue frustrating and confusing. Often, a single study will reach the news because it says something different from what is accepted. After all, it isn’t news if everyone knows about it, whatever “it” is. To avoid this confusion, scientists and physicians often rely upon reviews that carefully pick out studies that are properly performed and report upon the common findings and areas of agreement. Certain institutions have gained widespread recognition for publishing such reviews with a high degree of professionalism and diligence; among these is The Cochrane Collaboration. 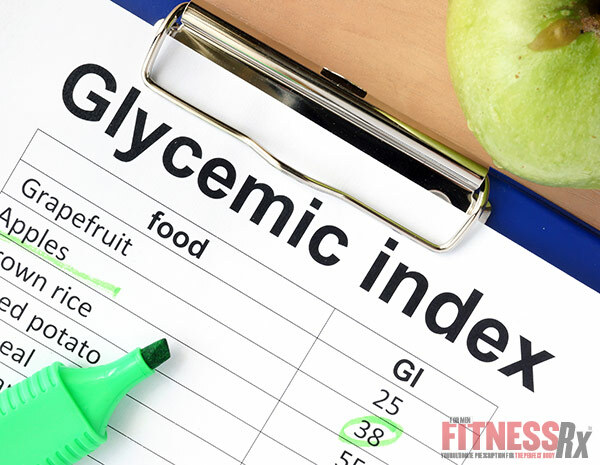 In a recent journal review, The Cochrane Collaboration tackled the question of whether diets utilizing either a low glycemic index or low glycemic load approach were more effective for weight loss and improving health than comparison diets with a higher glycemic index/load.7 Glycemic index refers to how rapidly blood sugar levels are affected by eating a food, whereas the glycemic load is a calculated score (carbohydrate content in grams X glycemic index of foods consumed/100) that takes into account how much is eaten in addition to how “sugary” the food is. The researchers focused only on studies that used subjects who were overweight and/or obese, so some of the conclusions may not be relevant to the normal weight or athletic crowd looking for optimal weight/fat management. The method used is nearly comprehensive, as the reviewers comb through most all the published medical literature in search of applicable studies, then further analyze them to ensure they used proper scientific protocol and examined suitable subjects. For example, studies using subjects with type 2 diabetes or combining the diet with other medications (such as cholesterol-lowering drugs) are not included, to avoid misinterpreting the results. In the end, only six studies were found, which was quite surprising given the vast amount of attention given to low-carbohydrate diets in the last 10 years. Unfortunately, very few studies determined the glycemic load or index of the diets. The six studies included in the review only contained 202 subjects total, which is a very small number.10-15 It is entirely possible that a large, multi-center study involving a larger group could reveal some additional benefits to low glycemic diets that these studies were unable to demonstrate. Presumably, this will happen at some point, as there certainly is no shortage of overweight or obese subjects. All it will take is funding, which comes from our tax dollars, after all. Perhaps public pressure to increase research in fat loss needs be applied by health- and fitness-minded citizens. 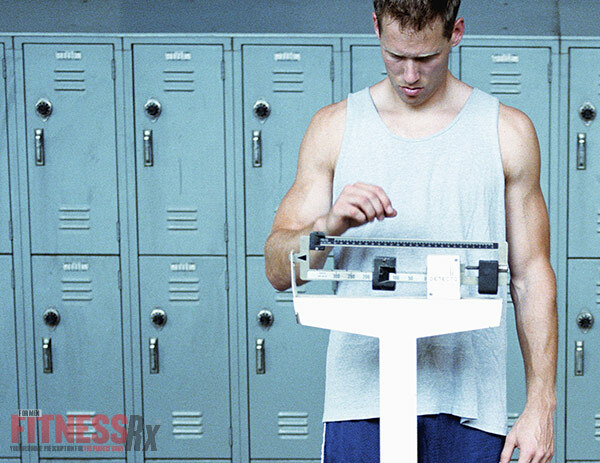 For fit and healthy people, losing 2 to 5 pounds may be the goal. It is possible that switching to a low glycemic maintenance diet from the typical American diet may be the missing element to tighten the belt one more notch or show a little more definition in the arms and legs. Since the studies reported no change in fat-free mass and greater fat loss when following a low glycemic diet, it appears that this may be the ideal way to trim a few extra pounds (something to keep in mind after a month of holidays meals). Surprisingly, though two studies did show some improvement in insulin’s action, there was no clear benefit to low glycemic diets insofar as improving insulin resistance or glycemic control.7 This finding leads one to question how low glycemic diets might improve weight loss if it is not due to improved insulin function and blood sugar control. This may reflect the inability of small studies to evaluate some effects due to statistical power. [Studies using larger groups are able to detect changes more easily, because in small groups, even one or two subjects who are outside the norm can affect the results greatly].16 Perhaps an even greater benefit could be offered by having a single drink before or with the evening meal, as doing so reduced the glycemic effect of a meal.17 It may be that the optimum diet for weight loss may include toasting the wonders of low-glycemic foods. Managing blood sugar and insulin levels is vital for reasons other than weight loss, as high insulin levels are associated with accelerated heart disease, Alzheimer’s disease and colon cancer, among other conditions.18-20 In addition to be more effective, low glycemic diets also appear to be healthier. Cardiovascular risk is often determined by measuring the levels of fats and various forms of cholesterol in the blood. Actually, there are many factors more important to consider, such as blood pressure, smoking status, etc, but the public and drug companies love to follow cholesterol.21 When following a low glycemic diet, subjects had lower total cholesterol and lower LDL (bad cholesterol).7 HDL (good cholesterol) either did not change or increased (improved), but the results were not consistent across all the studies. Free fatty acids— blood fats— were not different between low glycemic and higher glycemic diets. If only people could eat well, meaning make proper food choices, the demand for cholesterol-lowering drugs and rate of vascular disease, strokes and heart attacks might drop. Of course, the pharmaceutical companies need not worry, as most Americans will never pull out of the fast-food drive-through or push away from the buffets. An interesting side note in the review was that low glycemic diets worked better for obese people than they did for those merely overweight. Perhaps this is a reflection of how the obese reach that state of poor health. The drawback to this comment is that it takes away from the value of low glycemic diets for people in shape or at normal weight. Frankly, this was expected, as the law of diminishing returns states that the closer one gets to maximum results, the harder the last few percentile of change becomes. Perhaps the most interesting and revealing fact presented through this review was the lack of scientific proof about the most basic of questions: what diet works best for weight loss? Seriously, how ridiculous is it to worry about any micronutrient (vitamins, minerals) if people are not eating correctly in regard to the macronutrients (carbohydrates, protein and fat)? Aside from that, at least for those who have an appreciable amount of body fat, it is clear that lowering the glycemic index/load of the diet may be a simple and easily tolerated way to drop a few extra pounds without adding any stress or sacrificing more calories. Not only do low glycemic diets accelerate weight loss, but the additional weight loss appears to be fat loss, not the loss of muscle or other lean tissue. Further, there are demonstrated benefits relative to important markers that relate to cardiovascular health. Though few 20-something and 30-something men spend any time considering heart health and vascular disease, consider the recent increase in early deaths or serious heart conditions among bodybuilders, professional wrestlers, powerlifters, etc. Even if the immortality of youth allows the vast majority to escape the folly of unhealthy diets and reckless lifestyles for a couple decades, who wants to be the guy who looks like death warmed over at the age of 50? Who wants to be oxygen dependent or have a stroke before retiring? Many people admired Dan Marino’s skill as quarterback for the Miami Dolphins (1983-1999); certainly many agree with his proclaimed taste for Papa John’s pizza and Hooters. Yet, Marino’s most important contribution to the national audience may be the endorsement he gives for following a low glycemic diet. If Marino could show the same leadership by changing American eating habits that he did in leading the Dolphins to Super Bowl XIX, he could capture a spot in the “weight-loss” Hall of Fame. 1. CBS News. Anna Nicole’s new shape. 2004 February 20. Available at http://www.cbsnews.com/stories/2004/02/20/earlyshow/health/shapeup/printable601324.shtml, accessed August 8, 2007. 2. CNN.com. Slim-Fast trims Whoopi from ads. 2004 July 14. Available at http://www.cnn.com/2004/SHOWBIZ/07/14/slimfast.whoopi/, accessed August 8, 2007. 3. LA Weight Loss Centers. TV Commercials. Available at http://www.lafreetolive.com/press/commercials.aspx, accessed August 8, 2007. 4. Pittsburgh Business Times. Nutrisystem signs Dan Marino. 2006 July 19. Available at http://pittsburgh.bizjournals.com/pittsburgh/stories/2006/07/17/daily27.html?t=printable, accessed August 8, 2007. 5. Pittsburgh Business Times. Dan Marino to promote new Papa John’s product. 2005 September 23. Available at http://pittsburgh.bizjournals.com/louisville/stories/2005/09/19/daily41.html?t=printable, accessed August 8, 2007. 6. Broward County Medical Examiner Office. Investigative report in the death of Vicki Lynn Marshall (aka) Anna Nicole Smith. 2007 February 8. Available at http://www.broward.org/medical/investigative_report.pdf, accessed August 8, 2007. 7. Thomas DE, Elliott EJ, et al. Low glycaemic index or low glycaemic load diets for overweight and obesity. Cochrane Database of Systematic Reviews, 2007;3:Art. No. CD005105. DOI: 10.1002/14651858.CD005105.pub2. 8. Kiens B, Richter EA. Types of carbohydrate in an ordinary diet affect insulin action and muscle substrates in humans. Am J Clin Nutr, 1996;63:47-53. 9. Wee SL, Williams C, et al. Ingestion of a high glycemic index meal increases muscle glycogen storage at rest but augments its utilization during subsequent exercise. J Appl Physiol, 2005;99:707-14. 10. Bouche C, Rizkalla SW, et al. Five-week, low glycemic index diet decreases total fat mass and improves plasma lipid profile in moderately overweight nondiabetic men. Diabetes Care, 2002;25:822-8. 11. Ebbeling CB,Leidig MM, et al. A reduced glycemic load diet in the treatment of adolescent obesity. Arch Pediatr Adol Med, 2003;157:773-9. 12. Ebbeling CB, Leidig MM, et al. Effects of an ad libitum low glycemic-load diet on cardiovascular disease risk factors in obese young adults. Am J Clin Nutr, 2005;81:976-82. 13. McMillan-Price J, Petocz P, et al. Comparison of 4 diets of varying glycemic load on weight loss and cardiovascular risk reduction in overweight and obese young adults: a randomized controlled trial. Arch Int Med, 2007;166:1466-75. 14. Slabber M, Barnard HC, et al. Effects of a low insulin response, energy-restricted diet on weight loss and plasma insulin concentrations in hyperinsulinemic obese females. Am J Clin Nutr, 1994;60:48-53. 15. Sloth B, Krog-Mikkelsen I, et al. No difference in body weight decrease between a low-glycemic-index and a high glycemic index diet but reduced LDL cholesterol after 10-wk ad libitum intake of the low glycemic index diet. Am J Clin Nutr, 2004;80:337-47. 16. Zodpey SP. Sample size and power analysis in medical research. Indian J Dermatol, Venereol Leprol 2004;70:123-8. 17. Brand-Miller JC, Fatima K, et al. Effect of alcoholic beverages on postprandial glycemia and insulinemia in lean, young, healthy adults. Am J Clin Nutr, 2007;85:1545-51. 18. Jeppesen J, Hansen TW, et al. Insulin resistance, the Metabolic Syndrome and risk of incident cardiovascular disease: a population-based study. J Am Coll Cardiol, 2007;49:2112-9. 19. Craft S. Insulin resistance and Alzheimer’s disease pathogenesis: potential mechanisms and implications for treatment. Curr Alzheimer Res, 2007;4:147-52. 20. Frezza EE, Wachtel MS, et al. Influence of obesity on the risk of developing colon cancer. Gut, 2006;55:285-91. 21. Leone A. Smoking, haemostatic factors, and cardiovascular risk. Curr Pharm Des, 2007;13:1661-7.